Even your personal or business website has options when it comes to finding a local or independent web host. Everything you buy, virtual or physical, could be independently and locally sourced. Get started with your web host! No matter which website builder you used, your site is hosted somewhere. Without a host server, your site wouldn’t exist. A web host plays a large role in the performance of your site even if that performance is mostly behind the scenes. Choosing the right web host and services takes time. 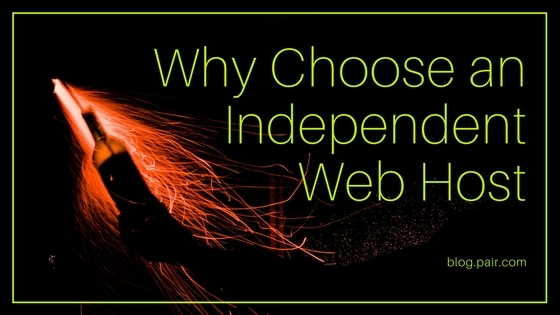 Independent web hosts have several advantages over their larger competitors. So, who hosts your website? You could lose revenue if your site goes down. When your site experiences downtime, people can’t access your information and products. Your brand and your sales will suffer. Your web host could hurt your search ranking if it’s slowing down your site speed. When a website loads too slowly, search engines won’t direct as much traffic to it. While this isn’t always the case, a poor web host could slow your website down. A poor web host can also affect the security of your site. A good host will back up your data to a remote server making recovery easy in the event of a malware attack. You won’t receive friendly or effective tech support. When you get stuck, you don’t want to wait for hours on hold with support. With an e-commerce website, it’s especially important to have a reliable website with little to no downtime. North American organizations lose $700 billion a year to downtime according to a 2016 report by IHS Markit. Save your business time and money by hosting with a reliable company. The main benefit of an independently owned web host, like small and independently owned businesses, is customer service. 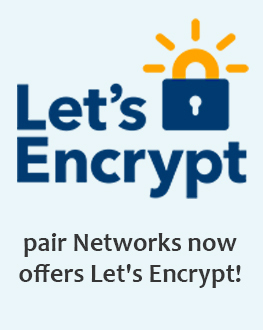 You’ll receive more personalized support from a host like pair Networks where our friendly support team works on-site right next to the servers hosting your site. Independent businesses offer more innovative and creative choices than big name brands. Instead of going with the status quo and using the same products as everyone else, independent hosts provide customized tools. For example, at pair Networks, we built our own Account Control Center and use custom-built servers designed specifically for our customers. Hackers are less likely to target the servers of an independent web host. With a large web hosting company, you’re using the same products and hardware as everyone else which makes you a higher-value target for hackers. Supporting your local web hosting company boosts the local economy and creates jobs. When you shop at an independent business, you’re supporting real people not algorithms. In fact, local businesses generate 70% more local economic activity than big businesses. When you choose an independent business, you’re supporting someone else’s dream. You’re making the American dream happen for someone in your community! Before choosing your independent web host, conduct some research and check the reviews. When choosing a web host it helps to know what you’re looking for (stay tuned for our blog on web hosting industry terms) and what type of services you need. An independent web host with friendly sales support will have no problem answering your questions and helping you find the perfect hosting solutions for your website. Shop small all year round and experience the benefits of supporting independent dreams every day!